You need a vacation and you know about where you want to stay and heard great reviews. Everything seems perfect, at the beginning. After you rent, you run into problem after problem and with no solution, your perfect vacation is not so perfect. So what do you do? These tips can help you avoid the headaches and allow your perfect vacation to be worth every moment. Rental Management Company. Who are you renting from? What is their reputation? How do you know you are getting a better deal? Most rental companies sell you on the perfect vacation by showing you everything you COULD have, not everything you get. They show you the price and the property and tell you it’s a great deal, do your own research. With Spectrum Resorts, you have access to everything on property including resort discounts and perks that other rental management companies and owners cannot offer. A lot of times you run into the problem that you don’t have access to this or you have to pay more for that and in the end you pay more than your original budget with hassle and headaches. Now, there are some benefits to renting through an outside party only if you want a room and a beach and nothing else. Your experience is lacking, a little sandy and wishing you did more. Location, Rooms and Standards. Click on that one, that one is perfect. Why are there only a few pictures? This is NOT like the pictures. Always know what you are renting and who you are renting from. Make sure the room you rent has more than just a few pictures. You can do a lot with a camera to make a “one bedroom” studio look like the bed is not next to the couch and the laundry room door actually closes. Call the property for the actual description or ask for more pictures that are not on the website. If you cannot see everything from different angles, you might want to try a different room. Take a virtual tour of the property and look it up on different websites to know you are getting the same thing. Keep in mind, everything might look clean, but take a closer look and you start asking for a mop and bucket to clean the floors yourself before you take off your shoes. Check their quality standards and what they allow to pass as clean. At Spectrum Resorts the higher quality standards mean they are cleaned from top to bottom and everywhere in between. If you are not happy with your accommodations for any reason you can change rooms to fit your needs. Spectrum Resorts is the only rental management company that offers a complete 100% satisfaction guarantee. Fine Print. What does that mean? Read everything. Cancellation policies are something that can essentially take all your money and no vacation or they can be a drop in the bucket depending on when you cancel. Check for hidden fees. Along with cancellation fees there could be a cleaning fee, maintenance fee, activities fee, access fee, etc. The list goes on and on, leaving you with a somewhat great deal that quickly spirals out of budget. All of your fees are listed and included when you rent through Spectrum Resorts including discounts and extras you cannot purchase. Maintenance. What could go wrong? A lot. The A/C went out, the toilet isn’t flushing, the door locked me out, there’s no hot water. These are all common when it comes to a rental unit, remember these are just like your house and sometimes things go wrong. Sometimes they go wrong in the middle of the night on a hot day and maintenance won’t be there until tomorrow at 5 pm, because they are busy. Check for on-site maintenance staff and someone to talk to at all times. Is there a late night number you can call for emergency service or just an automated message to call back during normal business hours? Spectrum Resorts has on-site maintenance services and security to handle any problems that might go wrong during your stay and are there when you need them. Sleeping Arrangements. It said it sleeps 10, with only three beds and a couch. Make sure that when you book, you know the sleeping arrangements. Is there a fold out couch, bunk beds or just an uncomfortable roll-away cot that no one wants? Check the size of the beds and the amount. If it says it sleeps ten, ask what form the other sleeping arrangements are to determine if you really want to stay. While these tips are big things to keep in mind when renting, another thing that makes your vacation worth every moment is renting through Spectrum Resorts. With a 100% Satisfaction Guarantee the headaches disappear before there is a possibility to start. Those hidden fees are included in your stay. The quality standards go beyond your typical rental management company with the Clean Bed Guarantee and the Rest Assured Program guaranteeing every part of your bedding is freshly laundered and the bed might be newer than your own giving you peace of mind, body and soul. Onsite maintenance and concierge means when things go wrong they are fixed ASAP, you are our priority. Everything you see is everything you get, with the Spectrum Experience you get an all access pass to all amenities and activities. Pictures are everywhere from every angle, Spectrum Resorts is proud of its product and shows it off every chance it gets. 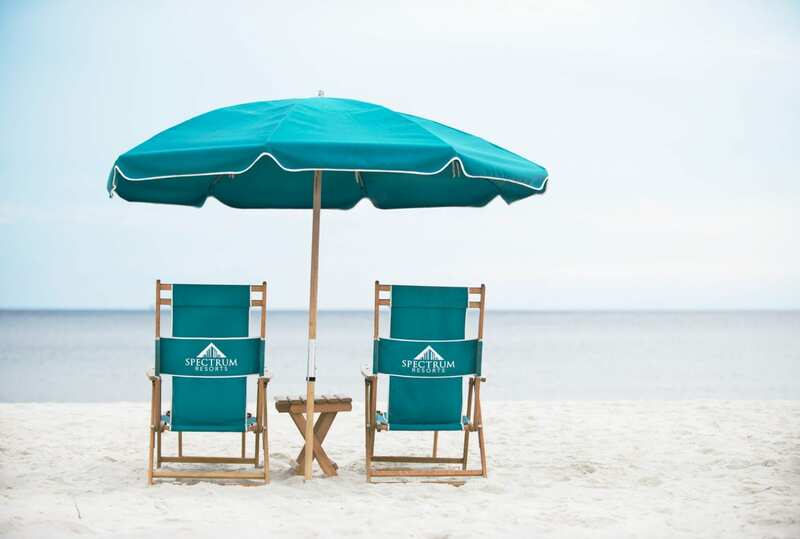 While there are other options, the only option for the perfect vacation on the Alabama Gulf Coast is through Spectrum Resorts. Make your vacation worth every moment and #creatinghappymemories a priority.